The moment that you all have been looking for has come because your day will be made when you hear about the latest job opening in Indian Bank (IB). Yes, you heard it right. It has announced Indian Bank Recruitment 2017 inviting postulants to make their career/ future bright by becoming Probationary Officer (PO). Though there are some essential things that you must have to apply, we recommend you to download Indian Bank Probationary Officer Notification 2017 and know about the requisites in order to submit an application towards this job opening. This is good news for those job-seekers who wanted to be selected as a PO (Probationary Officer). Their dream is about to come true. But, they have to follow all crucial instructions on this page to know how it can be done easily. Indian Bank reveals 324 PO vacancies via an advertisement on its official website. According to the notification, this is for getting admission to 1-year PGDBF (a diploma course which stands for Post Graduate Diploma in Banking and Finance). To be part of this recruitment, what you need to do is grab the vital data as shown in the following segment. Age Limitation: The age of the applying contenders should be between the age limit of 20 years to 28 years as counted on 1st July 2016. Contenders may get age relaxation. For this, please download notification. Required Qualification: With the intention to apply for IB Probationary Officer Vacancies, you must have passed a Graduate Degree having minimum 60% marks (55% for SC/ST/PWD) as aggregate in the relevant discipline through a government recognised university. Or they may have any equivalent qualification to apply online. Application Fee: An application of ₹100/- is supposed to be submitted by reserved category aspirants (SC/ PWD/ST), whereas General/OBC will pay ₹600/-. The payment will be done via Online Methods. Selection Process: The Bank will conduct Preliminary (Prelims), Main and Interview. If there is still anything, you can ask us through the comments below. 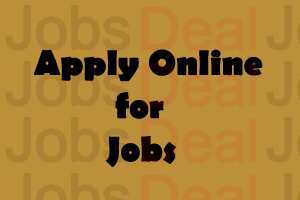 How to Apply Online for Indian Bank Recruitment 2017? Firstly, visit the main web portal of IB, which is “www.indianbank.in”. Then, go to the “Career” section and click on the “Recruitment for PO” link. There, you need to download the Notification and follow the instructions. Make sure you are eligible. If yes, then submit “Online Application Form” via IBPS Siftitest before the closing date. You can grab the links below to apply online for Indian Bank Recruitment 2017. Still having doubts, feel free to leave comments below. Loved this article? Why not share it?